An incredible journey through railway history begins here! 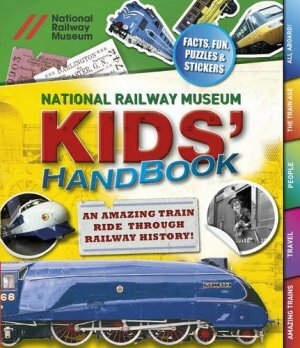 Developed in partnership with the world-famous National Railway Museum, this book uses highlights from the museum's collection to explore every aspect of railway history in a fun and informative way for young readers. From the early steam pioneers to the high-speed trains of the future, the technical breakthroughs, the science of trains, and stories related to their social history are all covered. Great on-the-page activities add to the fun, including puzzles, quizzes, experiments and great stickers that are fully integrated with the content.